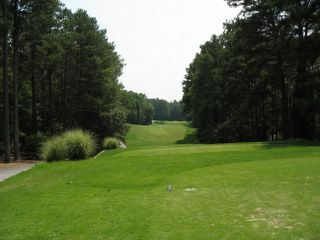 This the #1 at the Stonemont course at stone Mountain Marriot Resort in Atlanta. It is an original Bobby Jones Sr. tract. By Bobby Jones Sr, you scared me a moment. You obviously know Robert Trent Jones a bit more informally than I do. The Stonemont course is the site of one of my best rounds (not score wise, but ball striking). I shot a 76 from the back (black) tees on a day the course was set up for the public links championship. I would have finished in the top 15 I think.